Were these men as depraved or as noble as the stories suggest? History has had its share of infamous events through lives of tyrants. Historical experts will look at these tyrants with a modern eye to show them as real people, doing psychiatric profiling to piece together what was going on in their heads and see how they measure up to other brutal rulers. HISTORY™ cuts through the folklore to present precise portraits of some of the world’s most fascinating, iconic, and ruthless leader. Using the latest historical discoveries, forensic science tests, archaeological finds, analysis of torture instruments, and battlefield dynamics, ANCIENTS BEHAVING BADLY sheds light on these leaders and how they really came to power (most killed off family members); treated their subjects, friends, and family; were so successful in keeping their power; demonstrated battlefield leadership; and achieved such spectacular transformations at home. Expert interviews, on-location shots, and CGI help to re-create their environments and provide stunning reenactments. 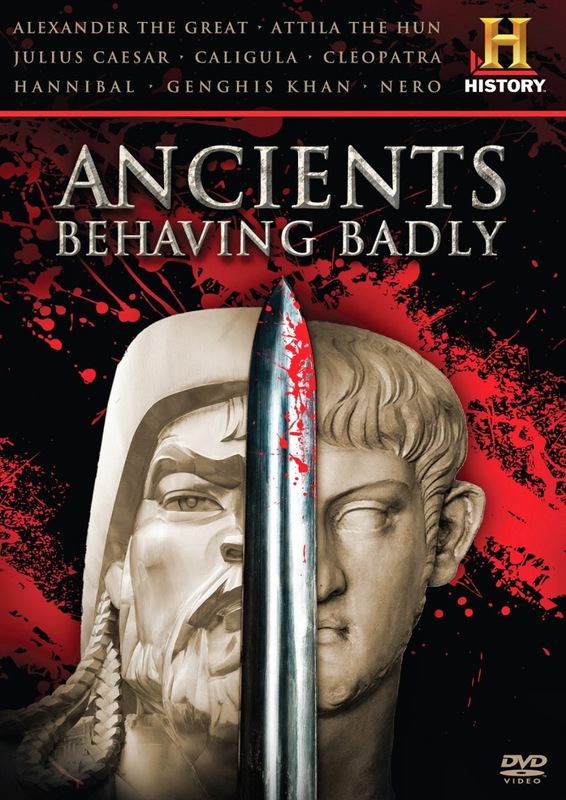 Ancients Behaving Badly is an eight part series for History Television that applies a modern analytical take to some of classical history’s most infamous rulers. Evidence for the lives of these people comes from very limited and biased sources. Like all histories, they’re written by the victors, whether the dynasty that usurped the line of Nero and Caligula and therefore had a vested interest in making them look bad, or the history of the Mongols, a hagiography to Genghis Khan written by his successors designed to make him look great. Thank you for sharing this documentary. I will bookmark the link for future reference. I definitely want to watch it. By the way, the linked website is outstanding. It's one of my favorite.